As with many of my purchases, this one was triggered by some teaser images for this summer collection. 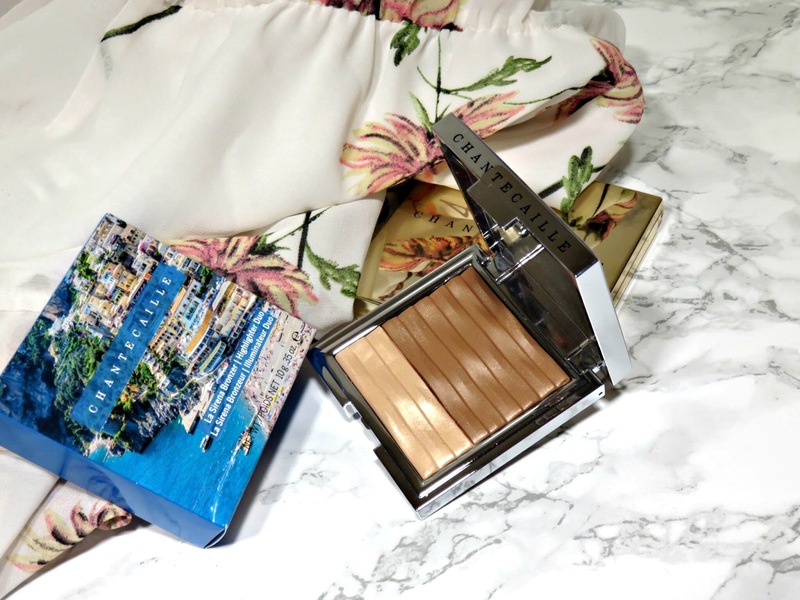 The one thing I knew I needed from this collection was this bronzer & highlighter duo! I mean, look at those glorious glowing ribbons of product! If this doesn't get you in a summer mood, I don't know what will! 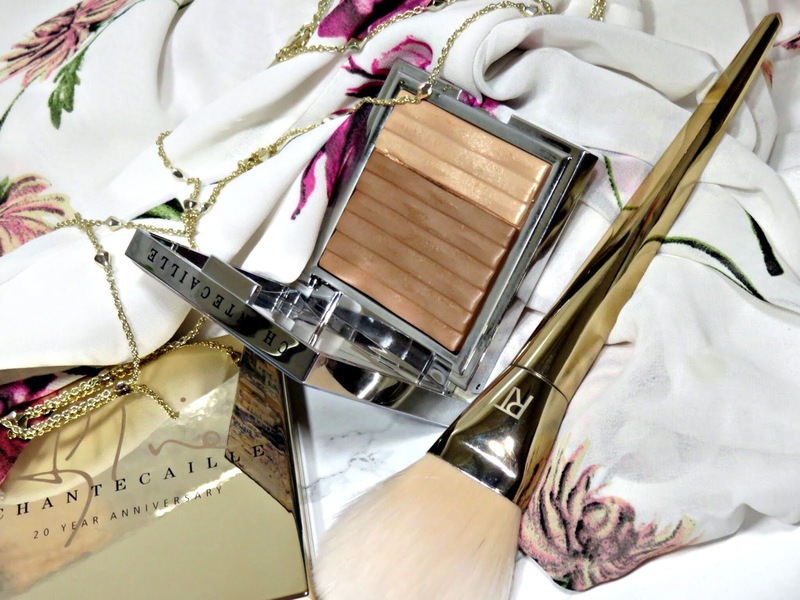 The Chantecaille La Sirena Bronzer | Highlighter Duo retails for $78.00 USD and is available at Chantecaille and other retailers. 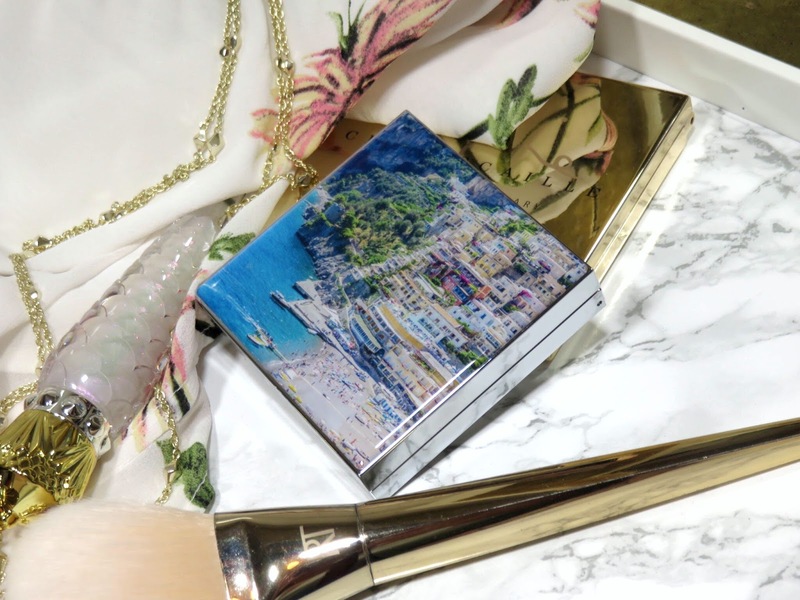 This cheek duo is a limited edition product part of their Summer in Postiano Collection and packaged in a compact with the beautiful a coastal city scene on the outside. The rest of the collection seems to have similar packaging with scenes of beaches and other summer scenery. I have high hopes for this product! I was fairly disappointed with the quality of the 20 year anniversary palette I bought back a couple months ago, you can read my review on it here. I have high hopes for this product because it appear to be one of my favorite formulations, a baked powder! These baked formulations tend to have a beautiful finely milled formulation that glides onto the skin effortlessly and fuses with the skin to create a very ethereal and natural glow. They can also be used wet or dry for customized intensity. The product is split with two thirds of the product being bronzer and one third being the highlighter, which I love these proportions because it's so logical. You're going to be using more bronzer because you use it all over your face than highlighter, which is specifically targeted to certain areas. I am a bronzer fiend, so I really appreciate the size of the bronzer being so much larger. The product has beautiful ribbon-like ripples embossed into it, which is a beautiful and luxurious touch to the powder. Both products have the same ultra-finely milled formula that is so beautiful and luxurious! It feels very smooth and creamy. The products go on the skin like butter! They just apply so evenly and smooth and they just look so natural! The Bronzer is perfectly balanced with enough warmth to add a sunkissed look to the skin but still remaining fairly neutral. I think this is how bronzers should be, a bronzer with too much warmth can make you look orange easily even with a very light application. The color is very buildable and the finely milled formula makes it so easy to blend into the skin seamlessly! 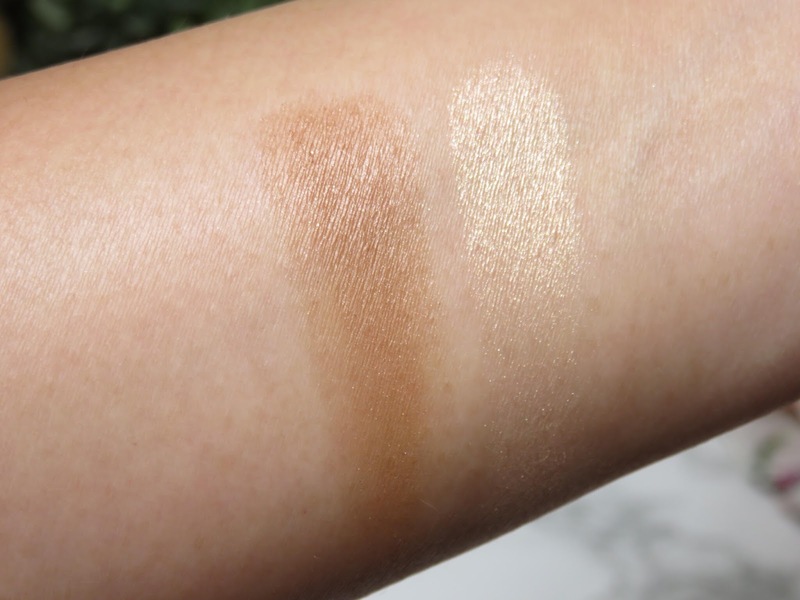 The bronzer has a very soft glow and sheen to it, giving the complexion a lot freshness. While it is buildable, the shade is on the lighter side and will probably only suit fair to medium skin tones. Even I, with my medium skin tone, have to layer on quite a bit of the bronzer to make any impact. One thing to note is that after using this product for a couple days, it did create little bits of hardened film from the face oils on my brush on the top of the bronzer, just little bits but still. Just a thing to keep in mind. I did try to make sure I powdered well before using this product but it still create little hardened bits. 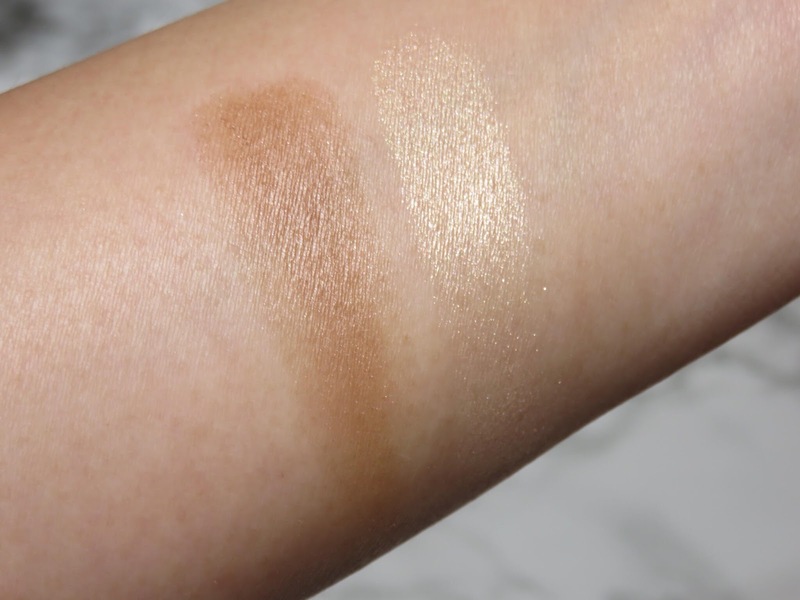 The Highlighter is a stunning soft gold shade! It is so smooth and the shimmer is so fine that it creates an almost-wet look even though it's a powder! As soon as I applied it I audibly said "oooOOOooh..." to myself! It is that beautiful and every time you turn your cheek the flash of gold just bounces off of light just perfectly! 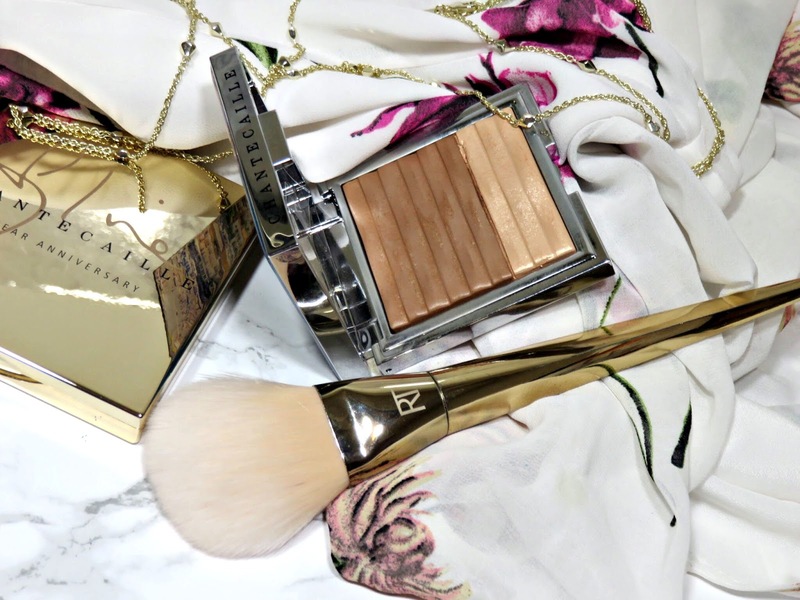 It pairs so beautifully with this bronzer. 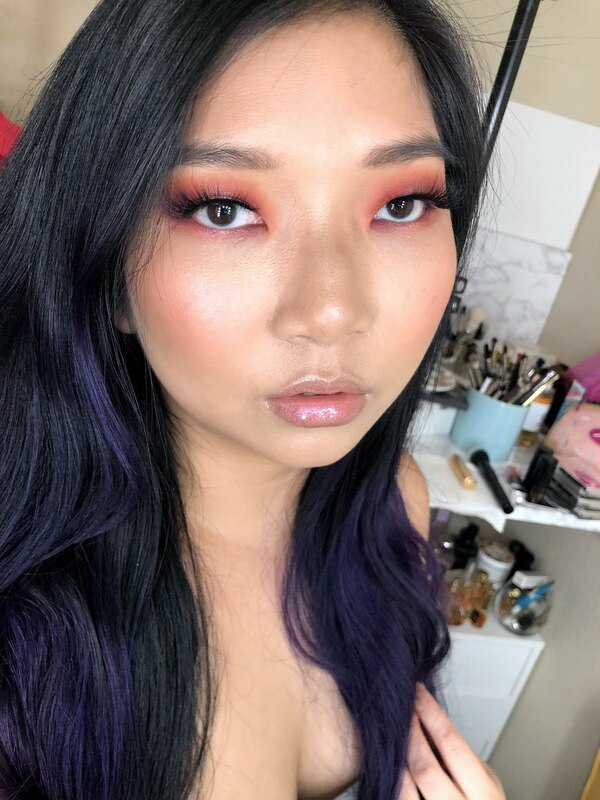 Below the products in action on my face: The Bronzer was applied under the cheekbones and around the temple and sides of the nose to sculpt and add warmth. The Highlighter was applied to the top of the cheek bones blending a bit around to the brow bone and temple area, also down the nose. I knew I was going to love this product from the start but I didn't think I would love it this much! 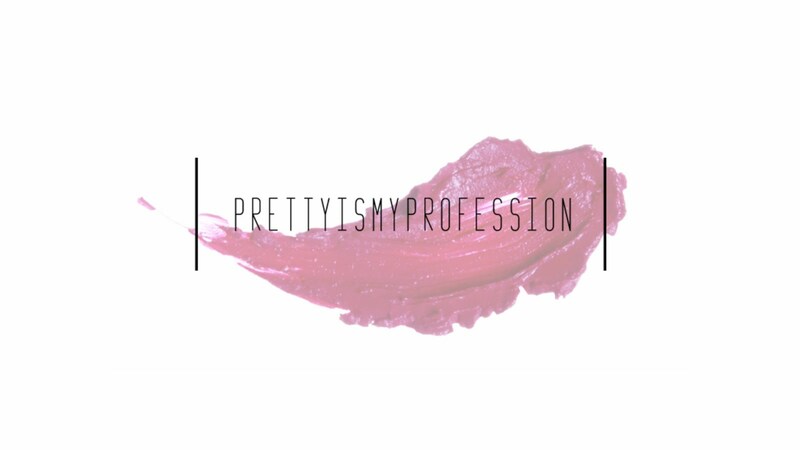 The powders are just so creamy and a dream to work with! The shades of both products is perfect for my skin tone and they blend in so beautifully into the skin. 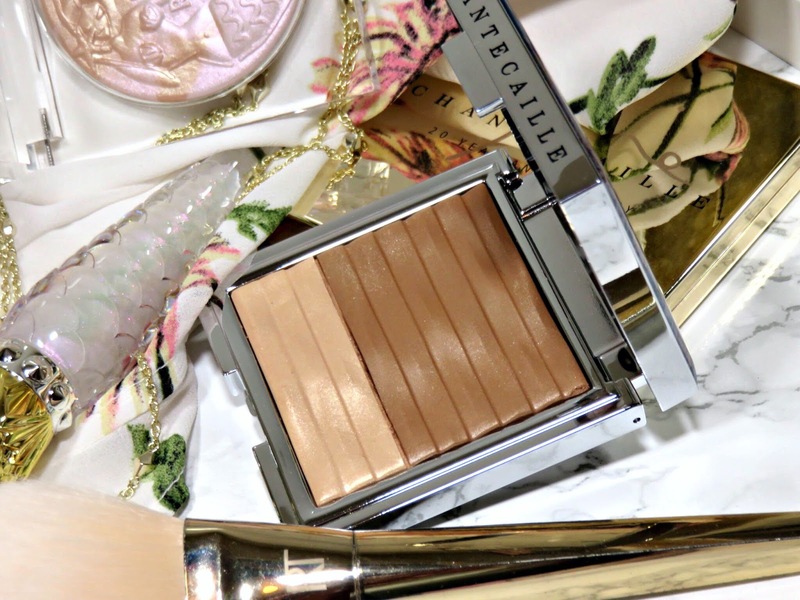 The bronzer gives the perfect bit of sheen to prevent your complexion from looking too flat, while the highlighter provides a stunning gleam to the cheekbones that is almost glossy! I'm really obsessed with this duo and I think it is well worth the price! It's honestly a shame that this product is limited edition because it really deserves a permanent place in the line.With this duo on, I feel it is all I need for a fresh-faced and glowing complexion. The bronzer is the perfect shade to sculpt out the cheekbones but it still looks incredibly natural. I don't think I can recommend this product enough, I am tempted to get a backup because it is that good!